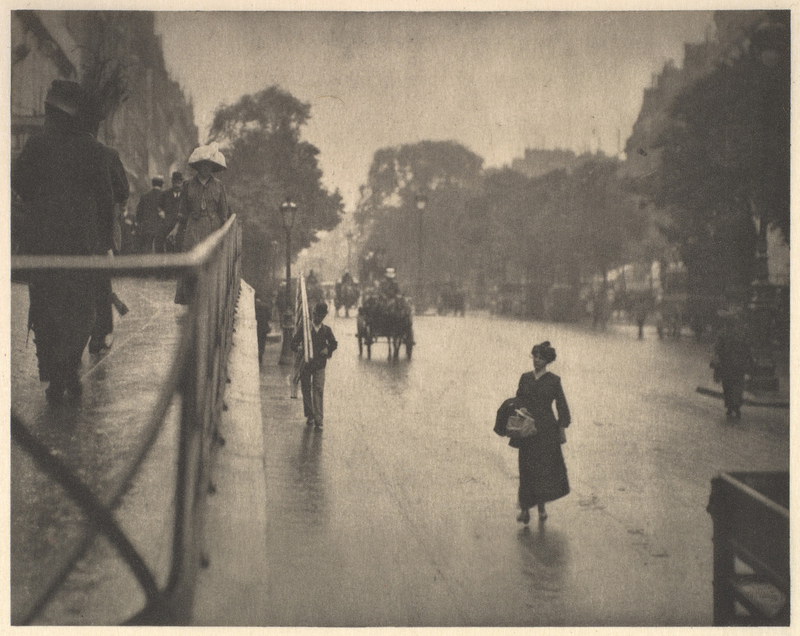 An ambitious photographer, writer, and entrepreneur, Alfred Stieglitz had a tremendous impact on early 20th-Century art. Founder of the influential “291” gallery on Fifth Avenue, he played a leading role in the exposure of American audiences to European avant-garde painting and sculpture. His later curatorial efforts nurtured and tirelessly promoted the first distinctly American flavors of Modern art. A lifelong photographer, Stieglitz was instrumental in the push to elevate photography to the status of Art. His biography reveals an unflinching love of photography and art; his importance in the story of American art cannot be overstated. 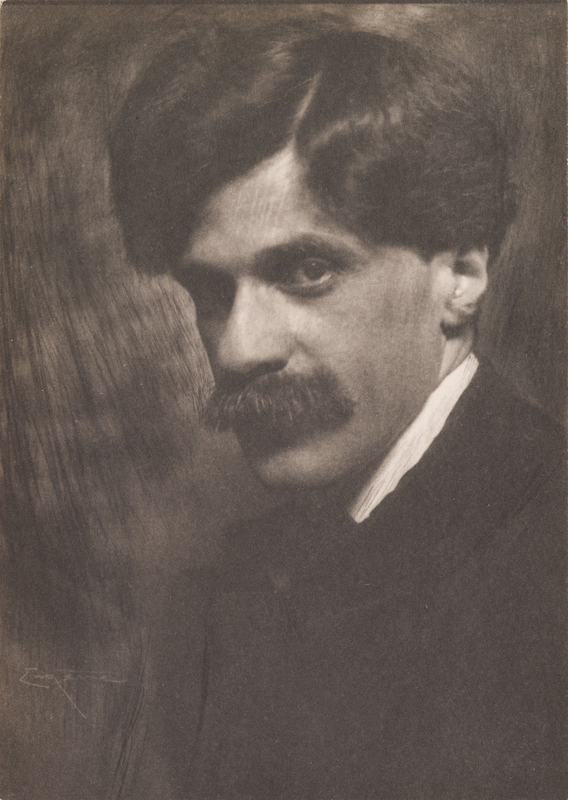 Left: Frank Eugene, "Alfred Stieglitz," 1907. 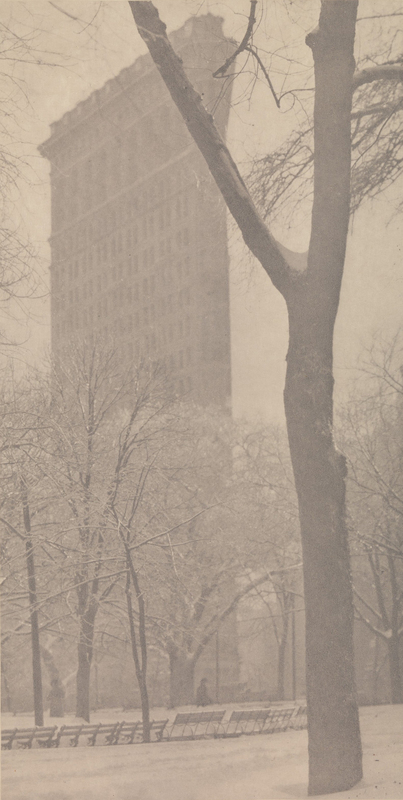 Right: Stieglitz, "The Flatiron," 1903. Stieglitz was born in Hoboken, New Jersey, but spent the better part of his education in Germany, where he trained as a mechanical engineer. While abroad, he began taking photography seriously, entering his work in competitions and showing in magazines. In 1890, Stieglitz returned to America and began making a name for himself, first as an editor for The American Amateur Photographer, and later as an organizer of the Camera Club of New York. During his time with the Camera Club, Stieglitz used its publication, Camera Notes, to advance his ideas about photography. Influenced by members of the Linked Ring, whom he had befriended in London during a honeymoon-turned-professional-networking-tour in 1894, Stieglitz pushed for photographs to be viewed as objects capable of artistic and poetic expression. 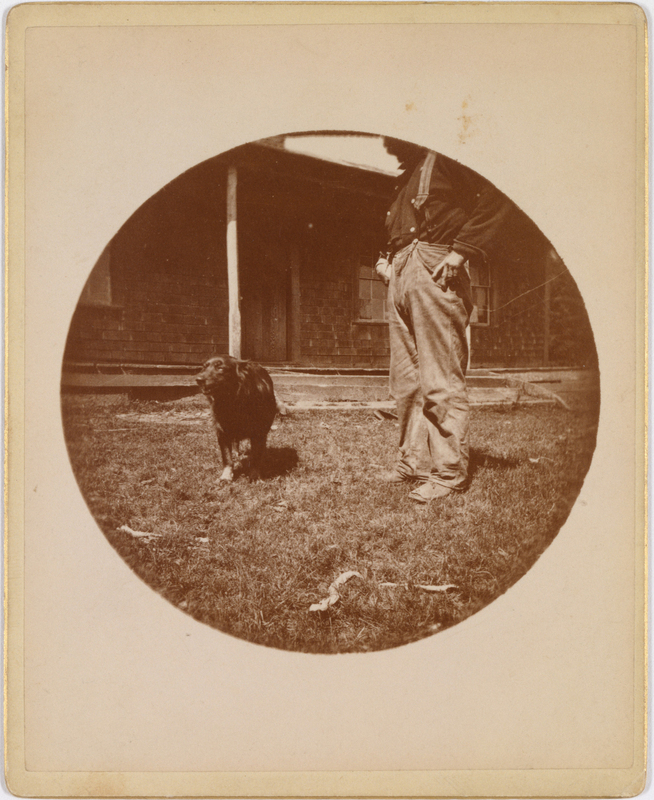 Left: Anonymous, "Dog and Man (Snapshot)," c. 1890. 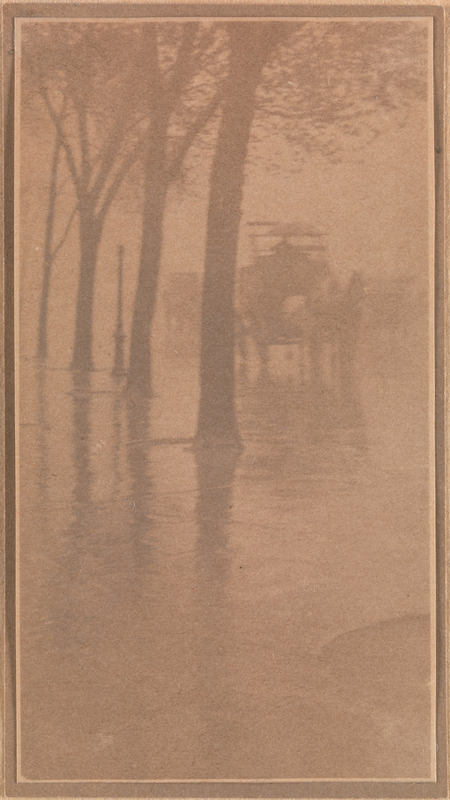 Right: Stieglitz, "Spring Showers, the Coach," 1899-1900. Stieglitz resurrected Renaissance attitudes about artistic craft and genius and applied them to photography; satisfactory results were designated “Pictorial” photographs. In 1902, referencing earlier artist secessions in Munich and Vienna, he organized an exhibition of photographs under the title, “The Photo-Secession,” at the National Arts Club. The show aimed to defend Pictorial photography as a viable art form in response to the avalanche of poorly composed snaps, hackneyed clichés, and slapdash processing efforts tarnishing the medium. Left: Stieglitz, "The City of Ambitions," 1910. Right: Stieglitz, "A Snapshot, Paris," 1911. 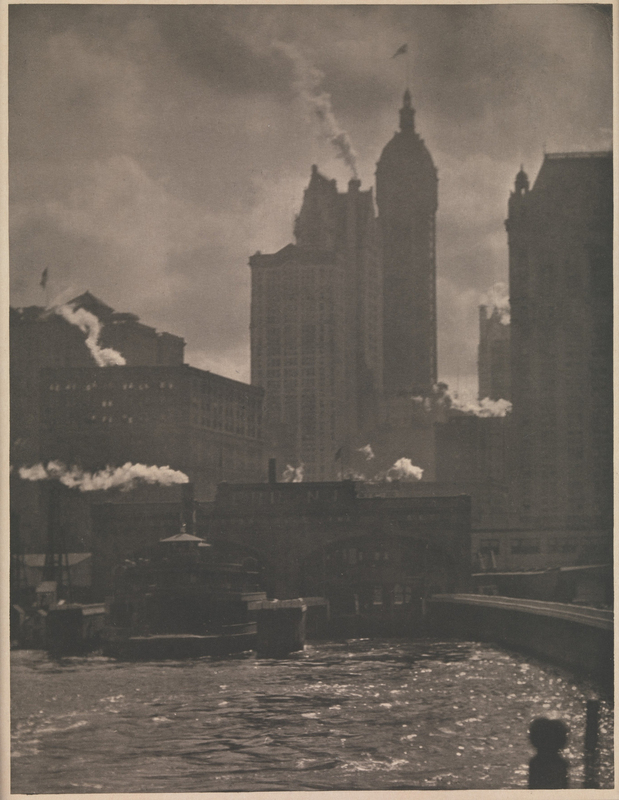 After the show, Stieglitz left the Camera Club of New York and began a new publication, Camera Work, which became the aesthetic and theoretical touchstone of the Pictorialists. 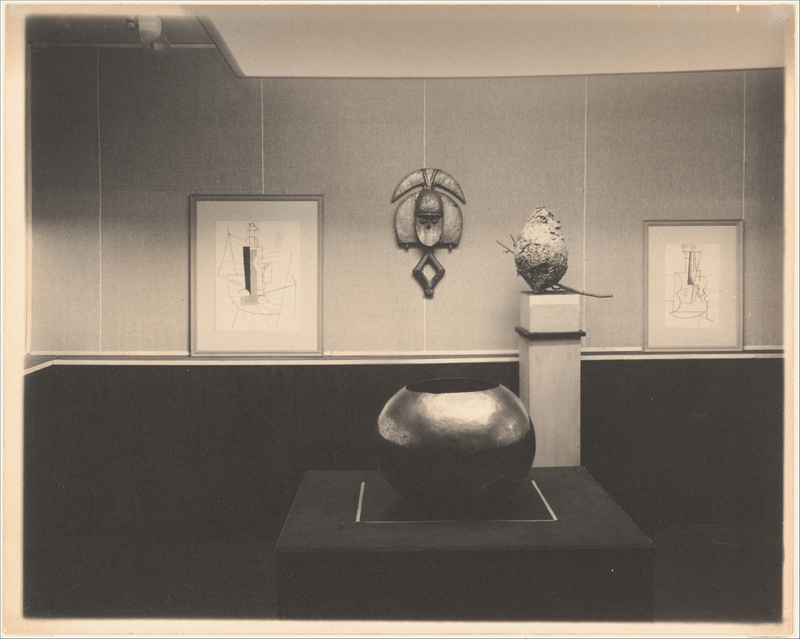 In 1905, Edward Steichen, a colleague and future curator of the photography department at the Museum of Modern Art, offered his studio as an exhibition space to Stieglitz, giving rise to the “Little Galleries of the Photo-Secession.” The space acted as a complement to the pages of Camera Work, allowing visitors to experience Pictorialist photography in a gallery setting. Stieglitz, "The Hand of Man," 1902. 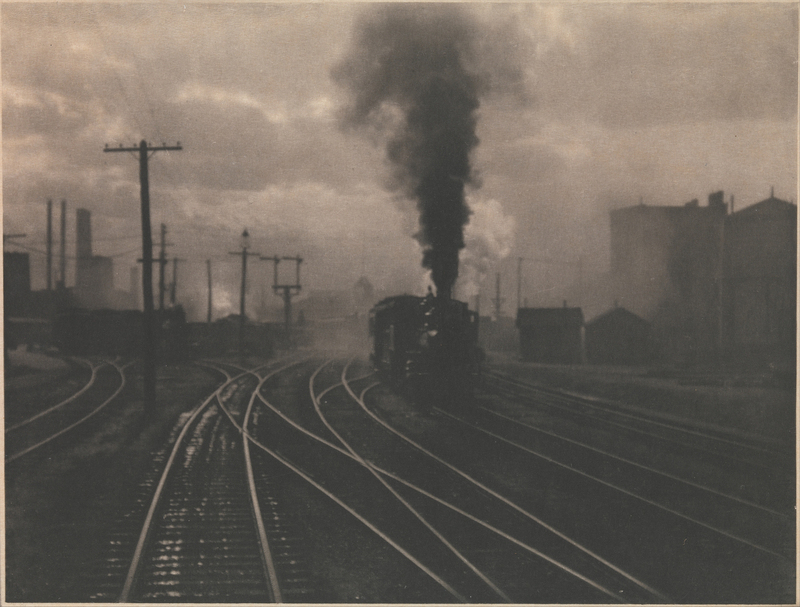 Stieglitz’s early work reveals a keen awareness of European painting. Photographs such as The Hand of Man pay homage to the hazy aesthetic and urban fascination of the Impressionists (compare: Monet’s La gare Saint-Lazare, 1877). The use of photogravure and lush paper as means of presenting photographs in Camera Work further added to their visual and tactile appeal. Each issue was an indulgent undertaking, physically embodying the spirit of its maker. Stieglitz’s aesthetic evolved over time. The clean edges and sharp focus of his “straight” photographs stand in contrast to the sketchy style that first characterized the Pictorialists. Nevertheless, his commitment to the formal and expressive potential of the medium remained. Despite its historical subject, the formal concerns expressed by Stieglitz share much more in common with contemporary avant-garde painting than documentary photography. Unsurprisingly, it was around this time that “The Little Galleries of the Photo-Secession” was renamed 291, and Stieglitz began incrementally dedicating more space and time to presenting European painting and sculpture. The Steerage appeared in Camera Work for the first time in 1911, the same year that Stieglitz organized Picasso’s first solo show in America. 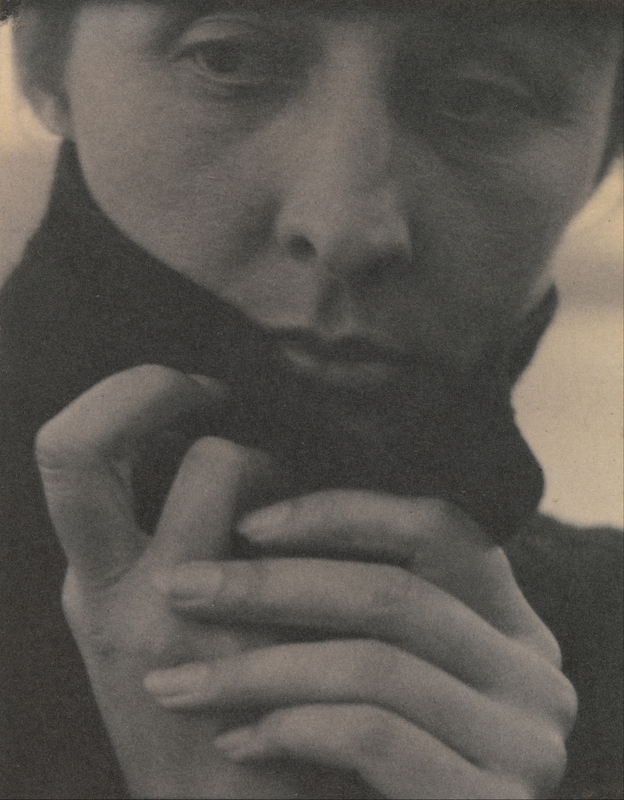 In 1916, Stieglitz found a muse and future wife in the painter, Georgia O’Keeffe. Inspired by his new infatuation, his work began to take a figurative turn. Over the years, he created hundreds of photographs of O’Keeffe, whom he felt could not be adequately represented in a single image. Left: Stieglitz, "Georgia O’Keeffe," 1918. 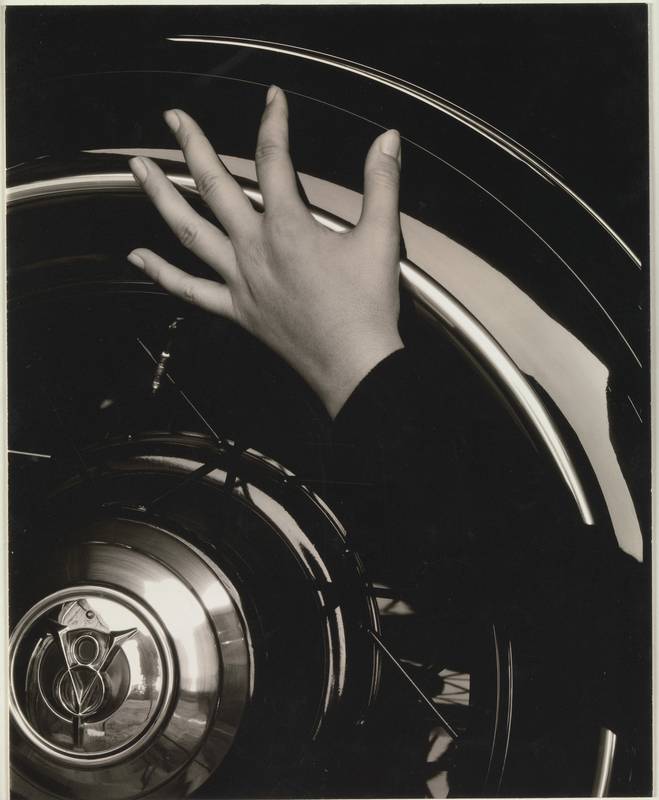 Right: Stieglitz, "Georgia O’Keeffe—Hand and Wheel," 1933. 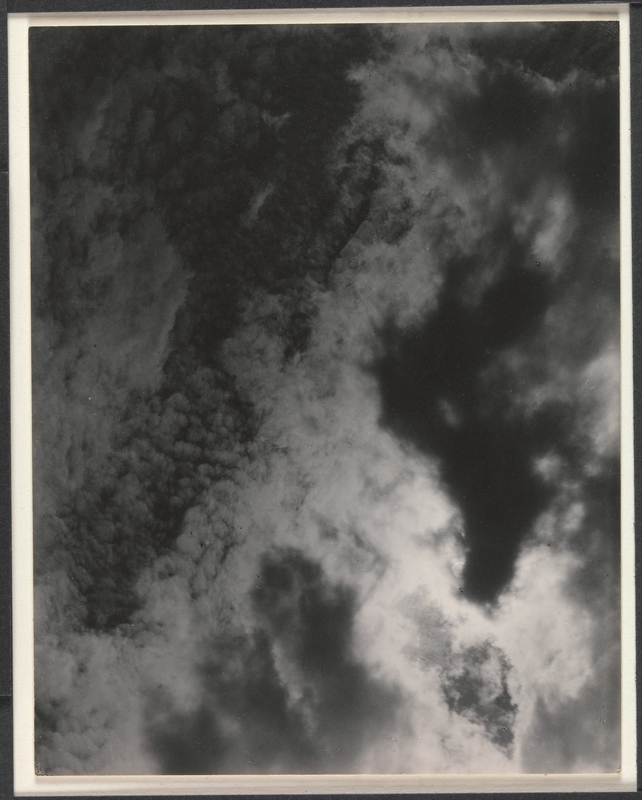 Stieglitz took an equally exhaustive approach to a subject in his later image series of clouds, Equivalents. Echoing the obsessive repetition seen in Monet’s water lilies or Cezanne’s landscape views, the series expresses a deep fascination with the play of light and shadow in the sky. Although he continued to take photographs throughout the rest of his life, the bulk of Stieglitz’s later years were devoted to championing the work shown in his galleries. 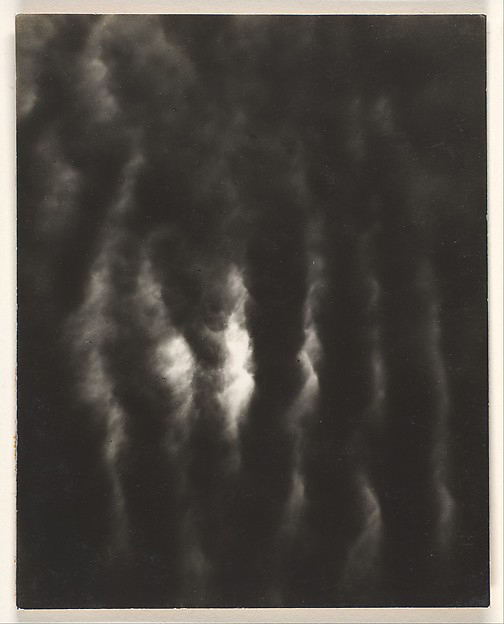 Left: Stieglitz, "Equivalent," 1925. Right: Stieglitz, "Equivalent, Set C2 No. 5," 1929. Stieglitz’s career provides a visual and textual foundation for those interested in the intersections of photography, Art, and Modernity. His work and passion continue to inspire artists to this day. Nolan Ryan Trowe: What is Photography? Zalika Azim: What is Photography? Thank you Cory. A great article. It's so important to understand where our photography has come from and what our forefathers have done for us. It's so easy to forget these things when we're scrambling to get shots done by the deadline and rushing to ftp or dropbox them to our clients. How our world has changed in a relatively short time! When I was in art school, my sculpture professor had the ability to construct an incredible story about his work, no matter how mundane that work appeared to me and my fellow art students. That was a skill I never developed, and didn't want to. As trite as it may sound, I prefer to let the work speak for itself. Being a visual artist, I believe Steiglitz could look at a scene and devise an image that portrayed that scene artistically without disecting every minute detail. Sort of like being on creative auto-pilot. Not to presume that I possess a particle of the creative talent that Alfred Stieglitz possessed, but as any creative person, I see images in everyday scenes, that non-creatives just don't see. We all have to have a creative auto-pilot mode to get that shot. I think Stieglitz would probably agree-- although it never hurts to build a pedestal of words to bolster your vision. Maybe we're making much too much adieu about this, much like we were asked in high school, "What was the author saying?" when a piece of prose was written for the "fun of it" when, indeed, the author, in fact, "wasn't saying anything in particular". Maybe there wasn't any "hidden meaning" in the piece of prose at all, but just a good story. Perhaps, so it is with these photographs, that they were taken, "just for fun", and there wasn't all these thought processes going into their creation. 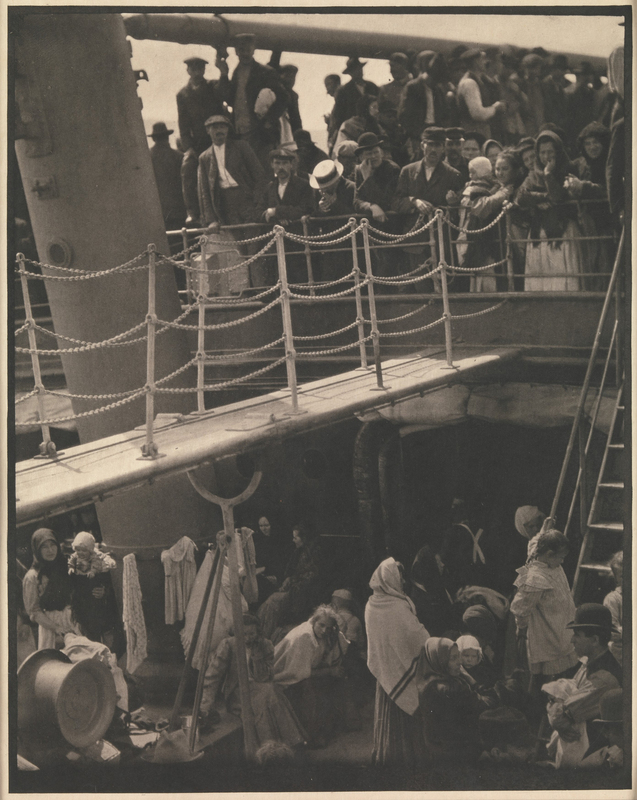 Maybe, as in the steerage photo, the photographer was just taking a simple picture of the people on the ship, without the deep descripition given in the caption of the photograph, above. So, lets stop deeply analyzing these photos trying to find some elusive meaning the photographer was trying to evoke and that they were taken "just for fun". So...you are saying Stieglitz just made up that quote just for the "fun of it"? Come on! This is an artist who took his craft seriously. His role in getting people to recognize photography as an art form was new for the time period. He is a role model for anyone who is serious about taking more than snapshots! Sometimes you have to be serious to be taken seriously. "Steerage" is one of the finest photojournalism images of all time. Steiglitz cannot be put into one box photographically. His images of O'Keefe are studied porttaits; even the one showing her hand and a wheel from a Ford. She had wonderful hands and he photographed them a lot and artistically. Images like "Steerage" and the horse drawn streetcar in the snow are primarily journalism because, primarily, they tell a story. The streetcar image can be also considered artistic or as is called today Pictorial because of the composition of snow, horse and steam and they way they flow and interplay together. Look carefully at "Steerage". It is not just a fine image. It is a profound social commentary; just what Stieglitz had in mind. Just as Jacob Riis, the famous photographer of tenement life in New York, he is showing class distinction separtated by barriers and unable to interact; the poor and ragged below and the 'toffs' and nabobs above. It is a masterpiece. I believe you are wrong to say such images are not to be studied and analysed. As for the snap shots, that is all they were. Some were not very good. Perhaps he was cooperating with Eastman to popularize the Brownies; who knows. In my very humble opinion, Stiegltitz was a master and a ground breaker and he was necessary to the progress of photography as an art form. As for your sarcastic statement "..what was the author saying...", you ironically hit the nail on the head. Cartier-Bresson said it best when he advised even befor you raised the camera to the eye, "what are you trying to say?" Take his advise and you may find your images improve greatly. Stieglitz didn't do anything "just for fun". He was a dedicated artist who did more than any single person at the time to elevate photography to the level of art. Before Stiegliz, photography in the U.S. was considered primarily a industrial or techincal craft with few believing it could be considered an artistic medium. He mentored and encouraged many photographers that went on to become giants in the history of photography. He didn't produce a large volumn of work, but what he did was quite purposeful. What utter nonsense. And the word you mean is ado, not "adieu." You should have paid more attention in high school. I thought I'd respond, just for fun! "Early in June, 1907, my small family and I sailed for Europe. My wife insisted upon going on the Kaiser Wilhelm II- the fashionable ship of the North German Lloyd at the time. Our first destination was Paris. How I hated the atmosphere of the first class on that ship. One couldn’t escape the nouveaux riches. I sat much in my steamer chair the first days out- sat with closed eyes. In this way I avoided seeing faces that would give me the cold shivers, yet those voices and that English- ye gods! On the third day out I finally couldn’t stand it any longer. I had to get away from that company. I went as far forward on deck as I could. The sea wasn’t particularly rough. The sky was clear. The ship was driving into the wind- a rather brisk wind. As I came to the end of the desk, I stood alone, looking down. There were men and women and children on the lower deck of the steerage. There was a narrow stairway leading up the upper deck of the steerage, a small deck right at the bow of the steamer. To the left was an inclining funnel and from the upper steerage deck there was fastened a gangway bridge which was glistening in its freshly painted state. It was rather long, white, and during the trip remained untouched by anyone. On the upper deck, looking over the railing, there was a young man with a straw hat. The shape of the hat was round. He was watching the men and women and children on the lower steerage deck. Only men were on the upper deck. The whole scene fascinated me. I longed to escape from my surroundings and join those people. A round straw hat, the funnel leading out, the stairway leaning right, the white drawing-bridge with tis railings made of circular chains- white suspenders crossing on the back of a man in the steerage below, round shapes of iron machinery, a mast cutting into the sky, making a triangular shape. I stood spellbound for a while, looking and looking. Could I photograph what I felt, looking and looking and still looking? I saw shapes related to each other. I saw a picture of shapes and underlying that feeling I had about life. And as I was deciding, should I try to put down this seemingly new vision that held me, -people, the common people, the feeling of ship and ocean and sky and the feeling of release that I was away from the mob called the rich, -Rembrandt came into my mind and I wondered would he have felt as I was feeling. Spontaneously I raced to the main stairway of the steamer, chased down to my cabin, got my Graflex, raced back again all out of breath, wondering whether the man with the straw hat had moved or not. If he had, the picture I had seen would no longer be. The relationship of shapes as I wanted them would have been disturbed and the picture lost. But there was the man with the straw hat. He hadn’t moved. The man with the crossed white suspenders showing his back, he too, talking to a man, hadn’t moved, and the woman with the child on her lap, sitting on the floor, hadn’t moved. Seemingly no one had changed position. This piece was exceptionally well done and the content should be carefully considered by everyone interested in photography. I taught the history of photography for many years and wrote a book chapter, "Stieglitz, Strand and Straight Photography." The writing, content, and scope of this piece for its length are remarkable fine. Thanks for the kind words, J.B. Thank you Cory for posting the full quote of Stieglitz. What a great moment in the history of Photography! Having the chance of reading what Stieglitz wrote about his picture makes everything else like something written......" just for fun" ! I once heard Beaumont Newhall give a two-hour lecture on the Steerage. An analysis of the shadows determined what then seemed a surprise, the steerage show emigres from the U. S. rather than immigrants. But that would be clear from the complete quote above. The date on the quote? The issue of interpreting photographs is worthy of discussion. People live by stories and I learned from my graduate studies in cinema the importance of narratives, which can, and I believe, should be applied to still photographs. That context can determine or change narratives should not discourage contemplation and discussion. That people bring different backgrounds and motivations to images is a given. Some photographers, like Lee Friedlander, don't want to discuss intent. At least in the hours I spent reviewing slides of his work with him he discouraged all attempts at assigning meaning to his images. The merit of photography as exploration to find meaning, and experience beyond verbalization is considerable. For those who know about Dorothea Lange's Migrant Mother, the title of a book chapter I wrote should be enough, "Migrant Mother's Migrant Meanings." Hearing Newhall talk about Stieglitz must have been something! The quote is from 1942-- a lot of time for Stieglitz to reflect--- and add some heroic drama to the story. It is reproduced in Jason Francisco and Elizabeth Anne McCauley's book, The Steerage and Alfred Stieglitz. I've always found intention to be a thorny issue when talking about photographs--- or, more generally, art. But photographers seem especially divided over how much (or little) to value their intent. As an art historian by training I tend to place a lot of importance on things going on "outside of the frame" but at the same time, once the photos are out of the artist's hands and floating around in the world, they are open to subjectivities beyond the photographer's control. The story of Lange's interactions with Florence Owens Thompson might rival those of The Steerage!